She is unreally beautiful and it was the reason of all her disasters. “Faora Man of Steel was the brightest character in the movie” – thus the critics wrote about her work. But only she knows what a long way the actress had to go to get that role. Antje Traue was born on the 18th of January in 1981. She was a daughter of a single mother and spent her early years in Mittweida (East Germany). The girl was very good looking from the earliest years. She spoke German and Russian fluently (her mother spoke Russian most part of her day, but it is not known exactly, whether she had Russian roots or just liked that language). She is fluent in English too. When Antje was a pupil, she studied not well as she spoke Russian much better than German and that lack of language prevented her from doing her best at school. Soon Antje Traue was dropped out of school. She was fond of sports and that’s why devoted all her free time to her gymnastic lessons. But then she fell down during one of her workouts and was injured. Thus the future star concentrated on music (she played the piano and the guitar) and theater lessons. She was inspired by her mother to make career of a theatrical actress as the last one was a trained musician and dancer. When Antje was 16, she went for casting to Munich Art Lab and was chosen for the supporting role in the musical. She acted in “West End Opera” during four years and travelled all over the world with her small role. When the actress was 23, her mother died and the beauty appeared alone in this big and cruel world. She moved to Berlin and entered the college there. Thus in spite of the fact, Antje was dropped out from school, she got diploma of Charlotte-Wolff-Kolleg. The young actress visited numerous castings but she was not successful. “You are too inexperienced to get the leading role and too beautiful to get the supporting one. In this case you would catch too much attention – and it is not good for supporting actresses” thus she was told, when she was rejected by casting directors. The actress managed to get small roles in short German films. Her first American film was called Pandorum. This German-British film of Christian Alvart was that very lucky ticket and actress had finally got. She co-acted with Dennis Quaid and Ben Foster. Then Antje Traue got the small roles in the films “5 Days of War “and “Nobel’s Last Will”. She tried her best but still was too far from stardom. The actress decided to drop out acting and devote herself to medicine. 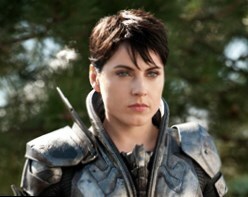 But finally she got her breaking role – Superman Man of Steel Faora. This German TV show premiered in 2003. It is on till now, thus 13 seasons of the show have been already shot. It is the sample of detective genre with Kerstin Landsmannin as Kriminalkommissaranwärterin Vanessa Haas and Thomas Clemens as Dr. Philip Kraft. Antje’s character was Diana Wrobel, she appeared in the single episode, named “Später Ruhm”. This movie, produced at Warner Bros. Studio, is probably, one of the most successful of Antje Traue. It is a serious screen work with big budget, talented film director – Zack Snyder – and the star Henry Cavill as Superman. The actress was ready to finish her acting career, when she was invited for casting. Film director Zack Snyder liked the actress so much that he insisted on her participation in the movie, although producers wanted to hire more famous actress for the role of Faora. But the film director insisted to take Antje. Thus she had become “the brightest villain of the year”. 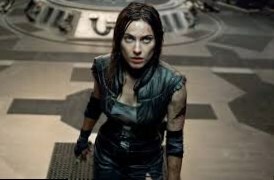 Antje Traue Seventh Son is a special movie in her filmography, as it was shot by Russian film director, Sergei Bodrov. The film is the sample of 3D epic fantasy action. The movie is the result of collaboration of Chinese film making studio, British one and American one. The movie is based on the books of Joseph Delaney, named “The Spook’s Apprentice”. Antje Traue acted as Bony Lizzie there. 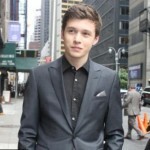 She shared her screen time with the stars like Ben Barnes, Jeff Bridges, Julianne Moore and others. The film of a producer Simon Curtis, who tried his hand as a film director in the movie “Woman in Gold” appeared to be successful. The cooperation with great Helen Mirren, talented Ryan Reynolds and elegant Katie Holmes was interesting for Antje Traue. The actors tried their best and created the movie any of them can be proud of. It is one of the latest movies of Antje Traue. It is just filming. The movie about Soviet Russia is close to an actress, but it is too early to judge, whether this screen work will be successful or not. Let’s wait and we will know! The actress Antje Traue is so good looking and that’s why anyone is interested, whether she is in relations or not. The actress is officially single. She is not married and has no children. 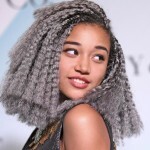 She is rumored to date German actor Hannes Wegener as she shared numerous photos with him in social networks. But this information is not confirmed by both actors. Antje Traue is a bright German actress, who had become internationally popular. Now she can enjoy her success – as for sure, it was not easy for her to achieve her aims!